We are used to thinking that the literal meaning of words is what a sentence conveys, but this is not the whole of it. Sure, we can follow the train of words and understand what they mean as you are right now by reading this sentence. Yet there is another function of language that may be even more important than just dry understanding, word's ability to slow time down to a crawl so that we can be aware and live in the moment. Poems do this and any language crafter to last. How to work words is what I do. 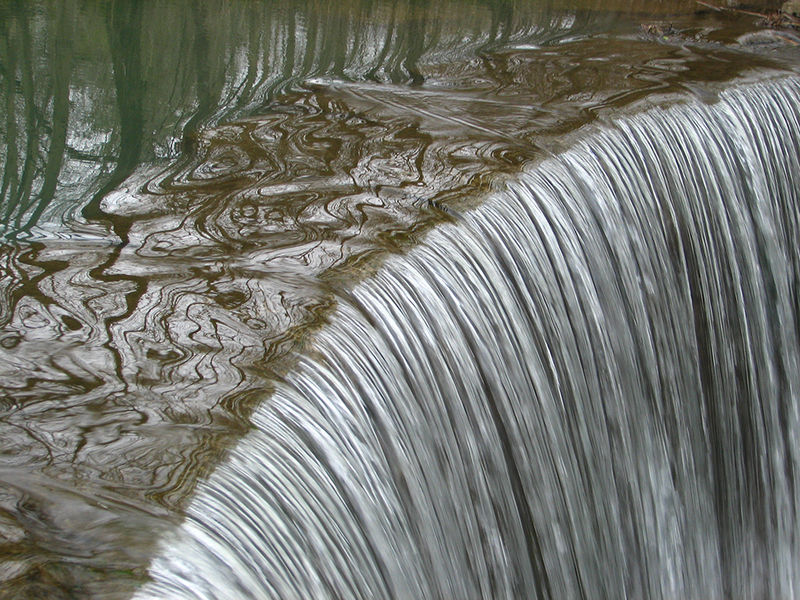 The mind is, as the Zen Buddhists say sometimes like a waterfall, a fast-moving river, a slow stream, and every once in a while a placid lake. Words (if well made) can work like a dam to hold back their meaning from vanishing long enough for me to get it. Where syllables and consonants clash and clatter on the verge of nonsense, I jam words together until they stick in the mind. A poem is like an incantation that if clearly said re-members the mind, reanimates and fleshes out an idea until it is filled with its own meaning once again and comes readily to mind. Like a hologram, a well-crafted poem can hover in the mind long enough to reveal its meaning, which may not be linear, but rather a bubble of awareness in which we bask. Good poems are meant to be said aloud or enunciated softly to ourselves, syllable by syllable, until they draw (as from a deep well) their meaning back from the waters of Lethe and reconstruct a thought that then lives and walks the mind once again. Language has power. Most meaning is fleeting, blown out and quickly lost in the winds of time. We can't quite grasp, much less remember it. Weak words are no defense against forgetfulness. I believe that our words must be crafted not on the surface of the mind where the winds of change blow, but as deep-down as we can reach, forged in the molten core of language and then tempered by reality so that they last. Someone like Shakespeare worked his words until they could stand up to time and they have. Almost no one has touched them, has ever gone that deep. Before we deconstruct Shakespeare's language we fall under the spell of his words, are transfixed, and dream on. As for me, I like to work my words until they whistle and scream like an old locomotive slowly rounding a sharp curve. Slick words, like crap through a goose, are soon gone. Words must be worked together until they stick in the craw of time and have to be deconstructed, syllable by syllable, while they are heard and understood, while they shine. I build word dams that hold back the stream of time long enough for them to be grasped by the mind. Word crafting is not something I sit down to do, like having a cup of tea. No tweed coats. I wrestle words together until they stick in the mind and slow the flow of time just enough to be understood. The literal meaning in sentences is not all of what words are about; meaning is also about slowing the mind down until it makes sense, as in the five senses, until we feel something from the heart. Clarity does not always make sense like words in a line, but the clarity of a poem can stop time with its expanded light. The words themselves don't matter, only the clarity of the mind they achieve, that we may see! Nonsense can also be clarifying if spoken right. Sense is not always rational as in "sensible;" it is also something that makes sense, that we can feel with our five senses, that can fill us with meaning, and experience. Words can have literate content and still not make much sense. Sometimes the sense of words depends on how the words are wedged together. Onomatopoeia and alliteration walk our words to the very edge of sense and then dive off, leaving us to follow if we dare to live. What is that telling us but that the so-called literal content of a sentence of words is not necessarily all of what it means. We may follow the verbal content of the words as they pass through our mind, one by one, while each crying vowel and clanging consonant (perhaps unknown to us) rings a bell in our mind until its reverberations are all we can hear or feel. It does not matter one whit what the literal content said. It could be nonsense, and still make sense because we can feel it. Well placed words push us out of our everyday mind and into expanded space and time. Words, like tent poles, can be lodged in the mind, pushing up awareness until there is room in the mind to move around in. For me, words are ever visceral. They must be fashioned together, wedged one against the other until, like the beaver builds a dam, they slow the flow of thought in the mind to self-liberation. And in the space and clear light of expanded time, word's work is done, and we rest in the true nature of the mind. It shines. So words are not just about their content, unless that content contributes to the sense words make when wedged together, back to back, into sentences that self-liberate thought into expanded awareness. I can usually find words for almost everything, but there are no words for words themselves, especially those uttered in the depth of the mind that, when chanted clearly like mantras or mathematics, create the mandala of this entire universe. Years ago I wrote this poem about what is called the monad, and it comes as close as I dare to those unspeakable words. To see that sleep as sound. That wake, if ever, last. And on that last, in overlay, our life. And they tell me that a picture is worth a thousand words!